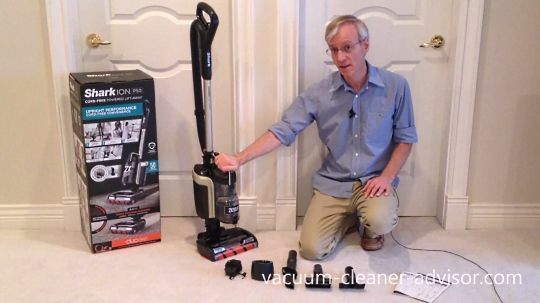 Let me help you find the best vacuum before you buy. 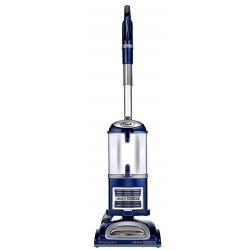 Check out our unbiased vacuum reviews. With so many manufacturers and models to choose from, getting the right vacuum for the right job requires research. At vacuum cleaner advisor we do that work for you! We looked at the Shark APEX (model AX952) back in December of 2017. 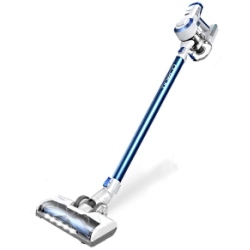 It is a popular machine and it comes with the lift-away feature, two brushrolls, and a powered tool. The Shark APEX in this review is a newer machine and is model AZ1002. It has all the same features as the older APEX but also includes Zero-M Technology. Zero-M Technology utilizes a specially designed brushroll and comb in the cleaner head which remove tangled hair as you vacuum. So you’ve decide to buy a V10! Well don't - at least until you understand the strengths and weaknesses of each model. It can be a little confusing given that there are three popular models with rather non-descript names – the Absolute, the Animal and the Motorhead. So which one is right for you? The Shark Navigator Zero-M Lift Away Speed is an interesting machine. 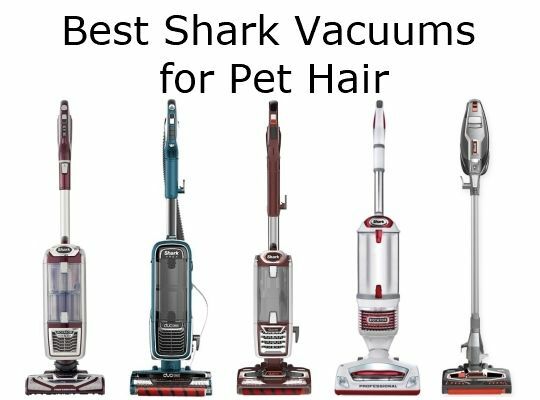 It is your basic Shark Navigator vacuum that comes with a feature called Zero-M Technology. Zero-M Technology is designed to remove hair that gets wrapped around the brushroll. This is a particularly helpful feature for households with pets. In our tests the technology worked quite well – you can see the tests in the videos below. Without such a technology one has to manually remove hair from the brushroll, and this can be a trying task depending on how easy/difficult it is to access the brushroll. 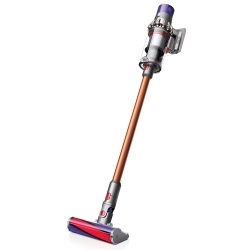 We get a lot of questions about the run time (or battery life) of the Dyson cordless stick vacuums. This is understandable as the information is somewhat scattered and determining accurate figures is not an easy task. 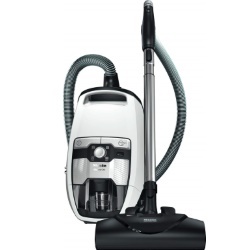 However this is essential data if you want to know which vacuum might best fit your cleaning needs. 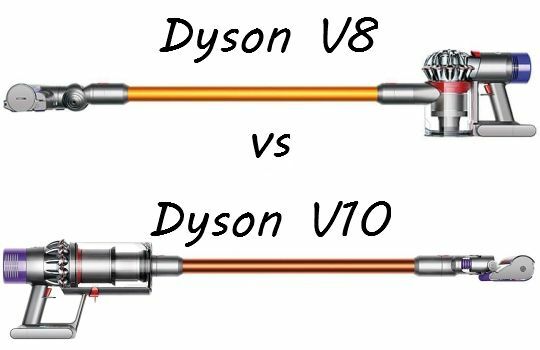 So we’ve put together tables and a video that highlight most of the important run time and suction power figures for the Dyson V10, the Dyson V8, the Dyson V7 and the Dyson V6. 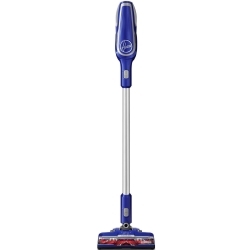 The Shark Navigator Zero-M Lift Away Speed is a bagless upright vacuum with an interesting technology Shark calls “Zero-M”. This technology is designed to automatically remove tangled hair from the brushroll. In this review we test the claim. 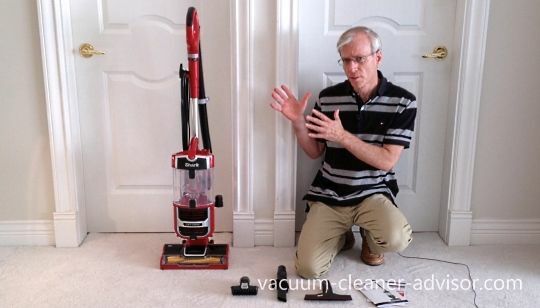 The vacuum is also capable of cleaning both carpet and bare floors, and it has HEPA level filtration as well as Shark’s famous lift-away system. Most owners seem very pleased with the vacuum and cite powerful suction, light weight, and the Zero-M technology as reasons. However, the power cord is a bit short and while there are several tools, only one stores on-board. 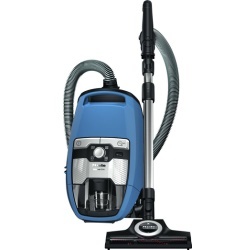 In this article we discuss the pros and cons of the Shark ION P50 cordless vacuum cleaner. 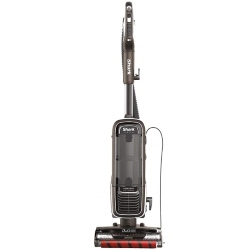 The P50 is an interesting machine and it falls somewhere between a stick vacuum and an upright vacuum – perhaps leaning a little more towards being an upright. It has a host of features and is quite a versatile unit. But it also has some faults. In this article we discuss both the good and the bad, and also provide videos. 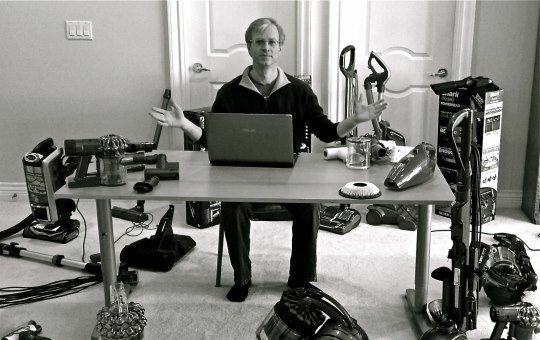 Dyson has both V6 handheld vacuums and V7 handheld vacuums. The V7 Trigger is one of their more popular machines. 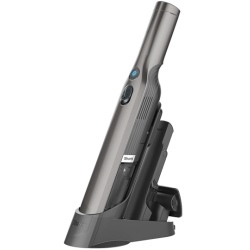 In our opinion this is a good handheld vacuum and it is versatile and sufficiently powerful for most cleaning jobs. It is not cheap, but the fact that it is bagless and the filter is rinsable helps reduce costs over the long term. 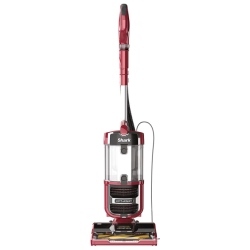 The Shark Navigator Lift Away Deluxe model NV360 is reasonably priced for what you get. 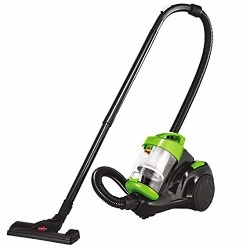 It is one of the higher consumer-rated vacuums in its price point. Owners like the strong suction, lift-away feature, rinsable filters, and swivel steering. 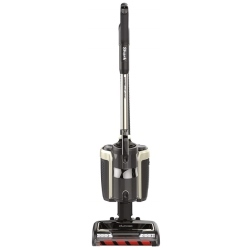 It also has brushroll on/off controls which make the vacuum effective on both carpet and bare floors. In addition, it comes with four handy tools. However, the lack of height controls can make it difficult to push on deeper carpet, and it is also a bit top heavy so it gets pulled over easily when using the hose/wand/tools. 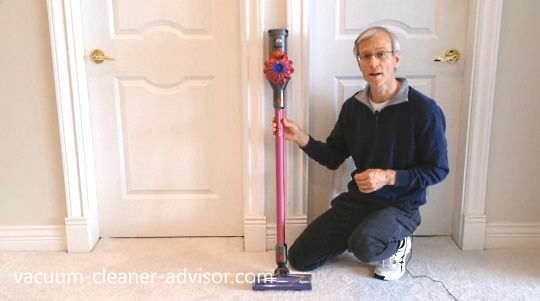 With the release of the Dyson Cyclone V10 cordless stick vacuum many consumers are pondering whether or not to buy its predecessor the V8 or to try the new kid on the block, the V10. 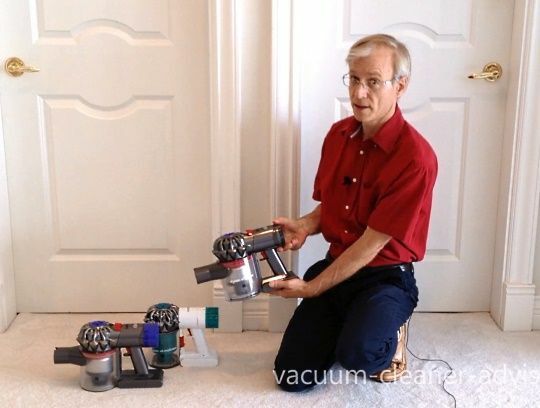 In this article we analyze, discuss and test both vacuums in order to answer that question. 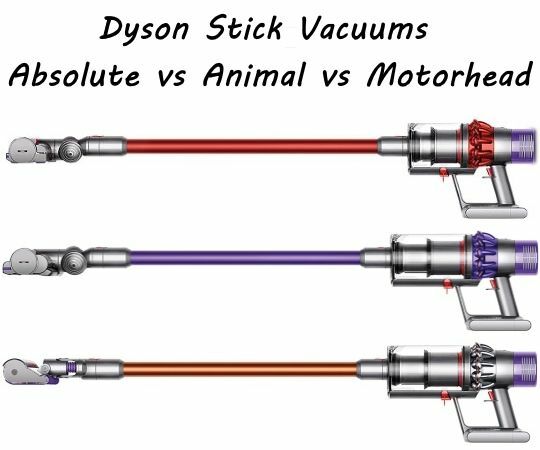 In this article we discuss some of the things we really like about the Dyson V7 and also some of the things we found lacking. 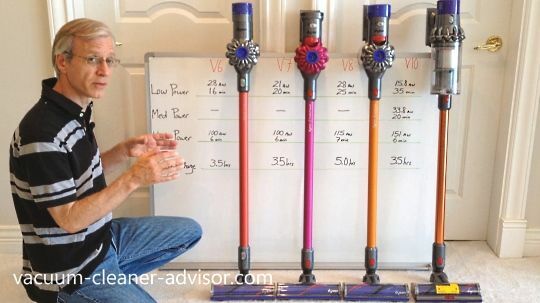 But first, a word on the different V7 stick vacuum models. 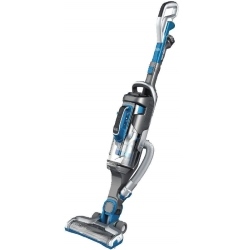 There are essentially 3 popular models of V7 cordless vacuums. The Absolute, the Animal, and the Motorhead. 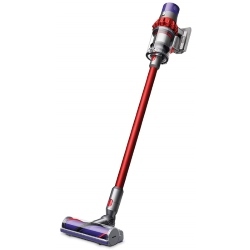 There is a 4th model called the V7 HEPA but it is exclusive only to dyson.com. Models are differentiated by the set of tools and cleaner heads provided, and also by the color scheme.